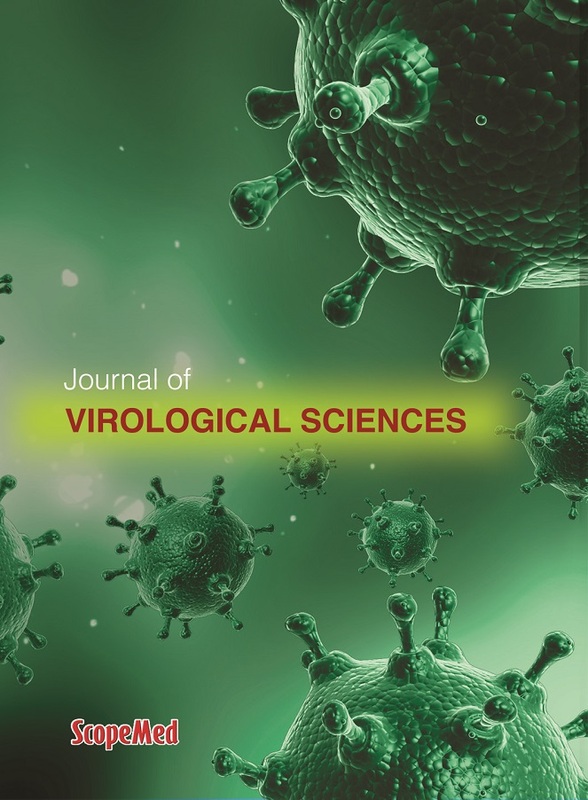 Journal of Virological Sciences (JVS) is a peer reviewed scientific journal published 2 times a year by eJManager (eJM) “http://www.ejmanager.com/”. It is primarily targeted towards the publication of results of authentic research in the sphere of Virology Sciences. Manuscripts for publication must be submitted in English, not exceeding 3000 words, with an English abstract ranging between 300 to 500 words. Each manuscript should be accompanied by a statement from the author (s), that the contents have neither been published, nor are under publication elsewhere Authors are personally responsible for statements made or views expressed in their manuscripts. A serial number assigned to each new manuscript accompanies the acknowledgement of its receipt to the author designated as correspondent. Reference to this number should always be taken into consideration, in all future correspondence concerning each submitted manuscript. Every manuscript is sent to two specialized refers. The author would then revise his paper in accordance with the suggestions of the refers. Proofs should be returned to the Editor-In-Chief within 10 days of receiving them. Cooperation of authors on prompt handling of the galley proof will be greatly appreciated. After final acceptance, the paper will be published in due course, according to the original date of its receipt, unless revisions necessitate unavoidable delay. 1. Scientific writing should meet accepted standards of grammar, syntax, and diction. JOURNAL OF VIROLOGICAL SCIENCES does not have a Staff to rewrite manuscripts. Therefore, contributors must conform to the accepted standards of English style and usage at the time they are submitted. Writing should be in simple declarative sentences. 2. The complete scientific microbial, botanical and animal name (genus, species, and authority for binomials) as well as name of the virus as example (potato y potyvirus or Human Papilloma Virus) of all experimental microorganisms, plants and animals, should be included under material and Methods and Abstract. define them where the first abbreviated word is introduced please use metric system only. translated into foreign languages . ABSTRACT, BACKGROUND, MATERIALS AND METHODS, RESULTS, DISCUSION, AND REFERNCES. journal in which an 'in press' article will appear should be included in the references. name followed by the year. column headings made as short as possible. but not arranged in a table. sheet. Legends and captions should be typed separately from the illustration. - Summary should be structured (Background, Aim, Methods, Results, Conclusion) as separated sections. - Author names should be deleted from manuscript file. - Organisation/Affiliation of authors should be deleted from manuscript file. - Summary should be included in manuscript file. - Title of manuscript should be included in manuscript file. - References through text, should be corrected according to instructions for authors. - References section at the end of the article, should be corrected according to instructions for authors. - Tables should be corrected according to instructions for authors. - Graphs and figures should be corrected according to instructions for authors.